While Apple has repeatedly intimated that Apple Watch is, for now, an online exclusive not available in brick-and-mortar stores, it appears certain "boutique" outlets will indeed have a small supply on hand for sale on April 24. According to The New York Times, Apple has allotted Apple Watch stock to fashion-forward stores Colette in Paris, Dover Street Market in London and Tokyo, Maxfield in Los Angeles, the Corner in Berlin and 10 Corso Como in Milan. 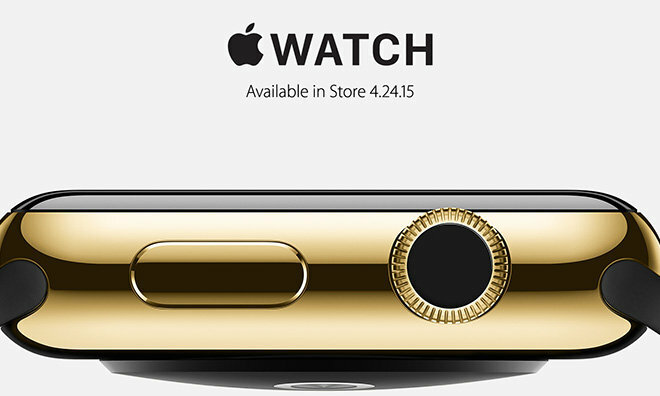 Maxfield, for example, has been advertising in-store Apple Watch on its website. Adrian Joffe, CEO of Dover Street Market, said his stores would have Apple Watches for sale on launch day, with the Ginza store taking receipt of about 350 units, while the London branch will have 570 units. Supply is split up among Apple Watch and Apple Watch Sport models, but an exact ratio was not mentioned. Those interested in Apple Watch Edition will have to wait, however, as those models are on backorder. Today's report clears up a recent statement from Apple regarding initial Apple Watch supply. In a release earlier this month, SVP of Retail Angela Ahrendts said Apple Watch sales would be restricted to the Online Apple Store. Apple also mentioned April 24 availability at the shops above, but was vague on whether units would be available for sale or in-person preorder. The decision to offer Watch supply to outside retailers, while holding back supply at brick-and-mortar Apple Stores, is a first for the company. Ahrendts told employees that Apple Watch would likely not reach Apple Store sales until June at the earliest.